Nicky Henderson has confirmed that Terrefort suffered pulled muscles when beaten on his return to action at Sandown on Sunday. 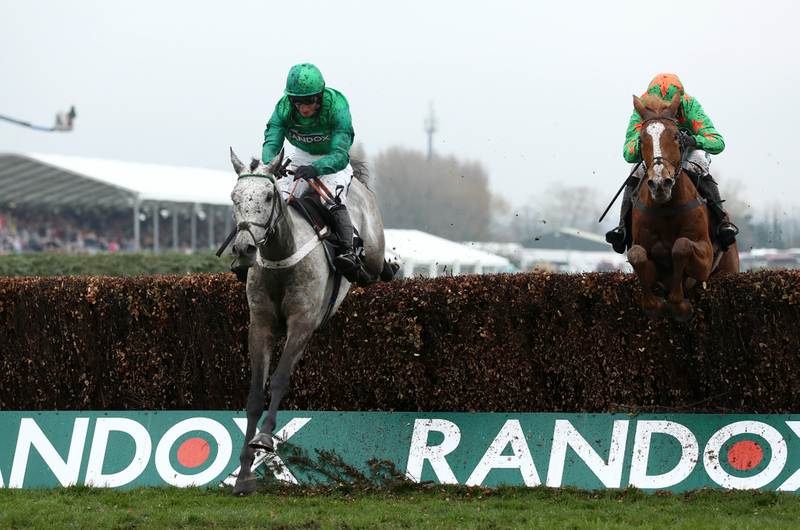 A dual Grade One winner as a novice and second at the Cheltenham Festival in the JLT, the popular grey was sent off a short 4/6 chance to beat three classy rivals in the Future Stars Intermediate Chase. The first lap went to plan for the five-year-old, but Daryl Jacob was sending out distress signals down the back straight the second time, eventually finishing a distant last behind subsequent winner Elegant Escape - who is now the favourite for the Ladbrokes Trophy at Newbury next month. Henderson said: “There is something wrong behind. If you get into his back, he screams out as though something is sore and it looks like he has done something to his muscles down into his left hamstring. “You could tell something wasn’t right yesterday by the way his tail was. He has not fractured anything and is not lame on a straight line, but if you put him on a tight turn he is. We will have another a look at him and start with some physio. Terrefort races in the colours of Simon Munir and Isaac Souede, who had a mixed weekend, with Footpad disappointing in Ireland on Saturday. Footpad jumped poorly, and unshipping Ruby Walsh at the final fence when looking held. They also own We Have A Dream, who was also beaten on his return to action this weekend, finishing third behind stablemate Verdana Blue in the Elite Hurdle at Wincanton. Both are expected to bounce back in the coming weeks.